Not a lot to say about this comic. 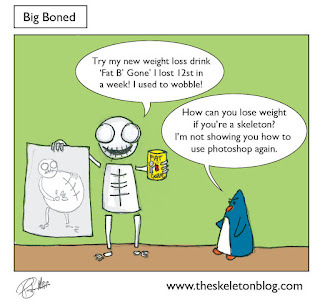 Apparently that penguin and Skeleton boy have some Photoshop skillz though. I got a new puppy last week. He’s a Pug and has a face like a dog that’s been hit by a shovel and eyes like a crack addict. Naturally the first thing I did was Photoshop (via an iphone app) it to look like Thor. Naturally.